Griante and Lake Como are wonderful places to visit if you are looking to combine a European holiday experience with outdoors and sporting activities. The mountains, lake, and favourable climate combine to make Griante an excellent place to experience hiking, mountain biking, road biking, sailing, and even golf. Griante itself offers a number of easy nearby hikes with breath taking panoramas of Lake Como, the most popular one being the hike to the church of San Martino perched high up on a small mountain outcrop. Sailing and motor boating are possible at the northern end of Lake Como. You can swim at a number of beaches on the Lake, and there are a few excellent pools for sun bathing and cooling off. 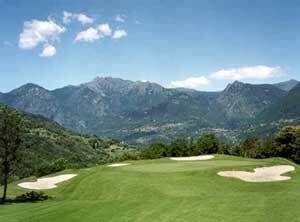 If you prefer golf, you can golf at the Menaggio e Cadenabbia Golf Club or at Villa D'Este. And of course, being the home of the famous Cycling Museum in Magreglio at the top of the Ghisallo pass near Bellagio, Lake Como is a cycling paradise for both mountain and road bikers alike.